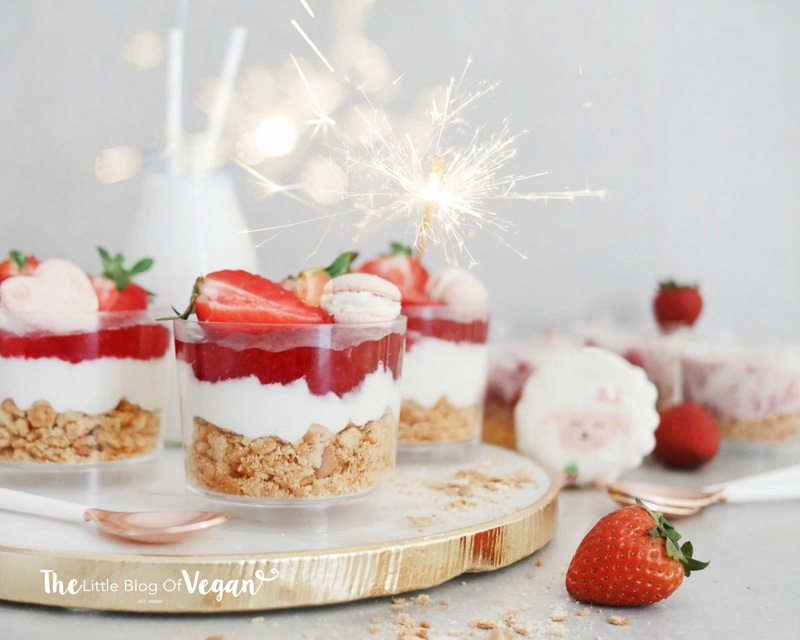 Do you like the look of these strawberry cheesecake pots? Well... you're in luck! They are quick, easy and no-bake!!! They're a twist on the classic 'cheesecake'. Super simple to make and can be ready in under an hour. Extra creamy dessert is light, refreshing and perfectly sweet. 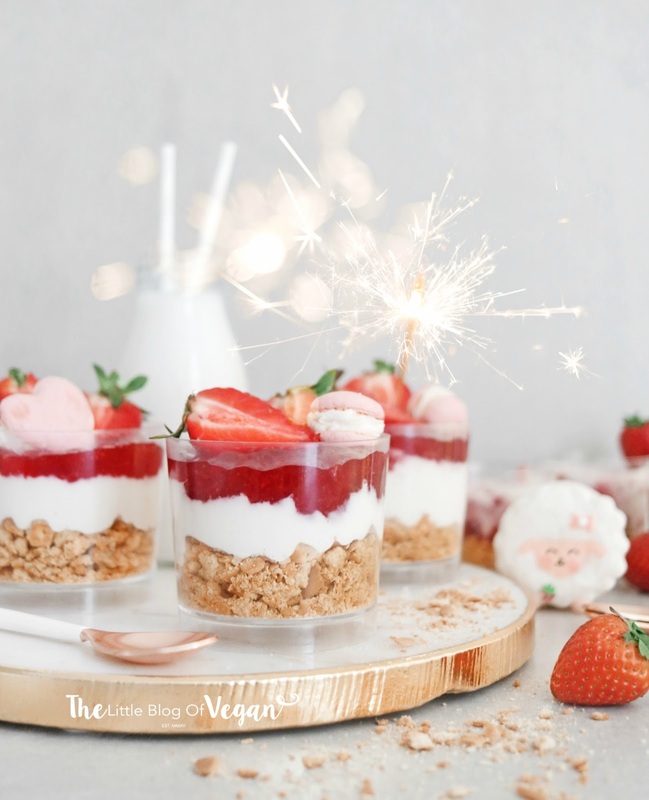 A base of plain biscuits, a creamy cream cheese and yoghurt vanilla filling, topped with strawberry jam and fresh strawberries! Delicious!!! These little pots would be perfect for a quick yet effective dessert or serve up at a party! Everyone will be very impressed (just don't tell them how easy they are to make)- haha! Step 2- In a large mixing bowl, add in the cream cheese, yoghurt, icing sugar and vanilla bean paste. Whizz up until fluffy and combined. 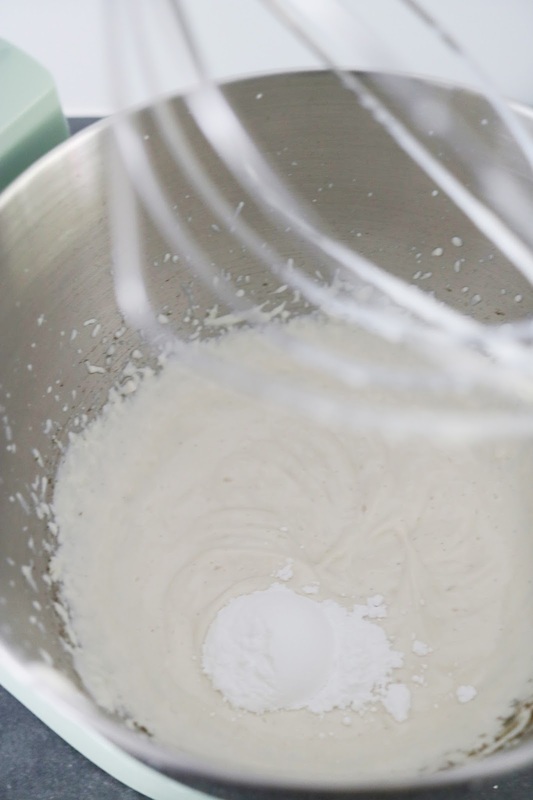 I use my Kitchenaid stand mixer with the balloon whisk attachment. 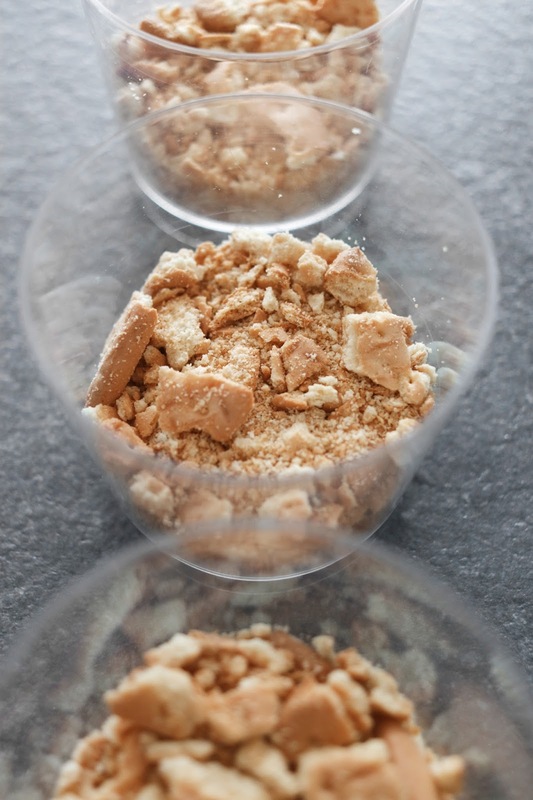 Step 3- Divide the cream cheese mixture on top of the cookie crumbs and pop into the fridge to set for around 1 hour. 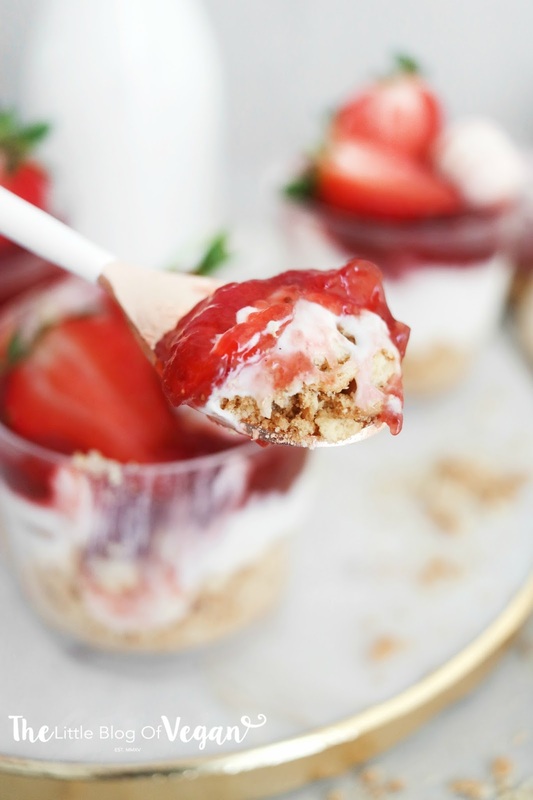 Step 4- Spoon on about a tablespoon of jam onto each dessert and decorate with fresh strawberries (optional).